Discussion in 'News & Rumours' started by ECG, Jan 10, 2019. 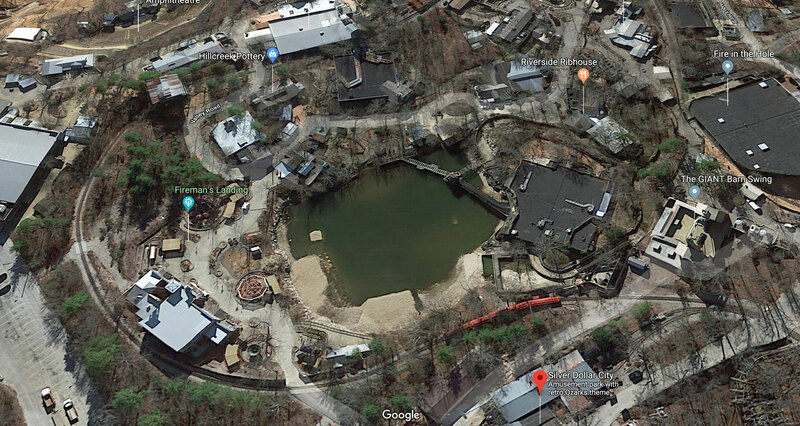 Silver Dollar City has removed the Lost River of the Ozarks rapids ride to make room for a huge new 2020 project. No details about what the park is working on, but in addition to the ride, a very large area surrounding the attraction has been cleared. Cranedude, Jaiden M., Pear and 9 others like this. Interesting, I'm guessing no one had any idea they were removing the rapids? Excited to see what they have planned. Well I didn't even know they had rapids, so there you go! I mean, I'm not surprised, I'd just never seen it before. WHAT?!?!? Those were badass rapids!! Oooo man! THE HYPE TRAIN FOR 2020 IS REAL!!! I just learned something new today. Now, please be something in the prehistoric family. Ya, it was a hidden gem in that park, that indoor part was so weird <3. Still, I trust Herschend to replace it with something worthwhile. Can confirm - there was a river rapids ride!? Dollywood's river rapids also is built in the middle of a pathway network, like Silver Dollar City's. It'll be interesting to see if Dollywood's river rapids undergoes the same fate. Seemingly a new rapids ride is under construction!